The cell is the building unit in all living organisms. These cells are characterized by their ability to grow, reproduce, respond to external stimuli and perform the different metabolic processes. The cell is made up of a protoplasmic mass surrounded by a cell membrane. The protoplasm is differentiated into a nucleus and cytoplasm. Cytoplasm contains a group of cellular structures called cell organelles. The cell membrane a thin membrane covering the cells and separates its components from their surrounding medium. This membrane performs a basic role in organizing the passage of substances to and from the cell. It also prevents the spreading of cytoplasm outside the cell. Plasma membranes range from 5 to 10 µm in thickness. For comparison, human red blood cells, visible via light microscopy, are approximately 8 µm wide, or approximately 1,000 times wider than a plasma membrane. At this size it is very hard to see the exact structure, even with an electron microscope. The cell membrane is composed of two layers of phospholipids molecules. Their hydrophilic heads (they dissolve easily in water) meet the water medium inside and outside the cell, while their hydrophobic tails (that do not dissolve in water) are only present inside the membrane. The molecules of proteins are embedded between the molecules of these two layers. Some of these protein molecules work as cell identification sites for different substances, such as nutrients and hormones, while others work as gates to pass the substances to and from the cell. Some proteins in the membrane are ‘intrinsic’. This means that they completely span the bilayer. Others are ‘extrinsic’ and are partly embedded in the bilayer. Some intrinsic proteins are channel proteins. These are transport proteins that allow the movement of molecules (that are normally too large or too hydrophilic to pass through the membrane) by forming a tube-like structure that goes through the whole membrane. Other transport proteins are known as carrier proteins. These use energy in the form of ATP to actively move substances across the membrane. For example, ions in the soil are actively transported into the root hair cells of plants. Carbohydrates are also a major component of plasma membranes. They are always found on the exterior surface of cells and are bound either to proteins (forming glycoproteins) or to lipids (forming glycolipids). Along with peripheral proteins, carbohydrates form specialized sites on the cell’s surface that allow cells to recognize each other. This recognition function is very important to cells, as it allows the immune system to differentiate between body cells (called ‘self’) and foreign cells or tissues (called ‘non-self’). Because the phospholipids forming the cell membrane are a fluid substance, the membrane is also considered a fluid structure (similar to oil floating on the surface of water). The linkage of phospholipids molecules with cholesterol molecules contributes towards keeping the cell membrane cohesive and intact. The cells function optimally at body temperature. As temperatures increase, both the cell membrane and the proteins can be affected. The fatty acid tails of the phospholipid bilayer can become more fluid, allowing more movement. This affects the permeability of the cell, which may allow molecules into the cells that should not get in, thereby damaging the cell. The trans-membrane or peripheral proteins can also be damaged by high temperatures. High temperatures cause proteins to denature, or break down. A decrease in temperature also has an effect on cell membranes and cells. The fatty acid tails of the phospholipids become more rigid at cold temperatures. This affects the fluidity, the permeability, and the cells’ ability to live. When the cells are less fluid, they cannot move or grow. The decrease in permeability means that vital molecules cannot get into the cell. Some cell organelles are also surrounded by protective membranes. The nucleus, endoplasmic reticulum, vacuoles, lysosomes, and Golgi apparatus are examples of membrane-bound organelles. Mitochondria and chloroplasts are bound by a double membrane. The membranes of the different organelles vary in molecular composition and are well suited for the functions they perform. Organelle membranes are important to several vital cell functions, including protein synthesis, lipid production, and cellular respiration. The cells of plants, algae, fungi and some bacteria are surrounded by a cell wall as well as the cell membrane. This wall provides the cells with support and protection. 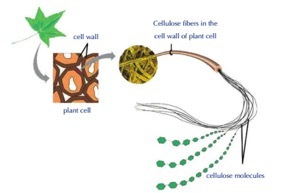 The cell wall is pitted and mainly composed of cellulose fibers. Therefore, this wall allows easy passage of water and dissolved substances. Sign up now to get instant access to premium revision notes that have been used by over 2,000 A-Level biology students to pass their exams. This download includes AQA A Level Biology revision materials and exam booklets for the new A-Levels which started in September 2015. This download includes Edexcel A Level Biology revision materials and past papers for the new A-Levels which started in September 2015. This download includes OCR A Level Biology revision materials and past papers for the new A-Levels which started in September 2015.